﻿"Making Your Breath Connection Move"
Experience training in a complete Qi Gong system to increase your physical energy, reduce physical and emotional deficits, improve your stamina, invigorate your enthusiasm for life, and give you daily tools to use for the rest of your life. Our curriculum is the complete “Egg” 8 movement experience, which produces a lifetime of refreshing breath renewal, lessons in reproducing kidney tonic energy, spiritual recitation of a compassionate breath poem, breath-intent direction practice, heart-kidney tonic walking. Also included in this offer: A unique, effective and specific personal energy plan with one-on-one experiential learning, phone support for questions which arise between training sessions, exclusive videos with descriptions and the support of a community of serious practitioners who are committed to making a positive impact. You don't have to do it alone. 8 Sessions Cost for 1-on-1 or Groups of 2-4: $597 per person, 8 sessions. Availability may be limited. Click here to purchase this package. You'll discover new strategies and step-by-step methods designed to increase your energy circulation awareness, experience how your large, dominant muscular groups limit you to your habitual movement patterns, and the location of endless strength located between your bones and the critical rudiments for opening energy between bones. Also included in this offer: Masterful demonstrations, a unique, effective and specific personal energy plan with one-on-one experiential learning, phone support for questions which arise between training sessions, exclusive videos with descriptions and the support of a community of serious practitioners who are committed to making a positive impact. You don't have to do it alone. Training for gathering and issuing energy. You will experience your own grace, feel the velocity and depth of the Yang Style Long Form T'ai Chi Ch'uan in step with a skilled practitioner. Elevate your T'ai Chi consciousness by learning how to apply the literature of the T'ai Chi Classics to get the feel of producing your own energy field. Identify which T'ai Chi postures and movements nourish you and create a development plan to use your favorite moves to take you to the next level. Mini-sessions focusing on increasing your strength, flexibility and consciousness in a pleasureable way. Guidance in developing your own personal T'ai Chi system which suits you, your goals and your lifestyle. Cost for 1-on-1or Groups of 2-4: This program is available as a custom package, depending on length of student commitment and skill level. 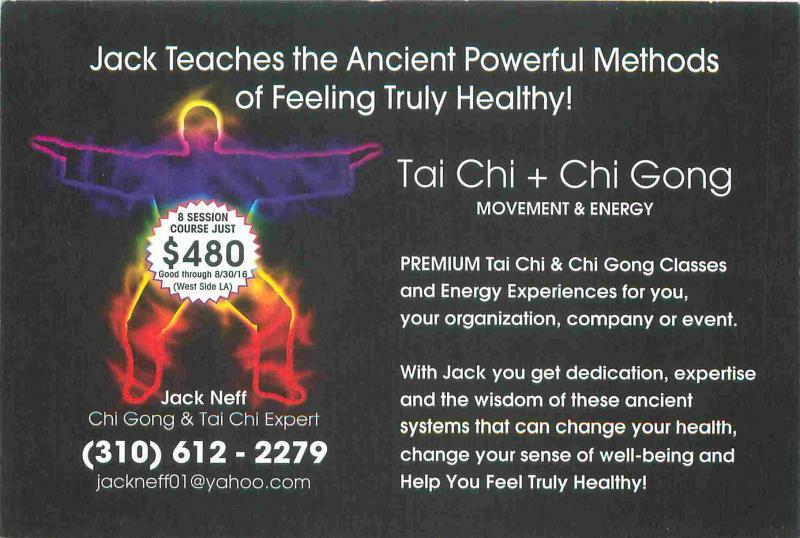 Click here to request a custom T'ai Chi Ch'uan package for your needs. Click here for a free, unique video with audio description of the program. Copyright 2016 www.healingandthemind.com All rights reserved.